A good scarce die-cast brass elliptical example on loops. 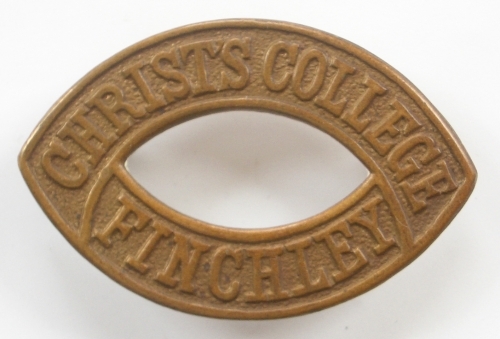 Christ’s College Cadet Corps formed in 1912 affiliated to 7th Bn Middlesex Regt. ; absorbed into 1st Cadet Bn in 1916.